Save $100's by shopping our promotions & offers. These sales are for a limited time so act now. On-road, off-road, no problem. 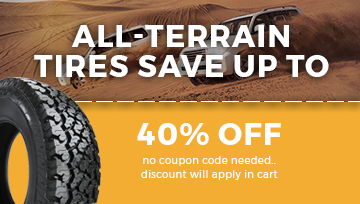 All Terrain tires give you the versatility you need for driving on different surfaces. They are designed to handle the diversity of driving on smooth highways to rough rocky hillsides or crossing mountain streams. Their unique tread design and capable internal structure ensure the first-rate durability demanded by unexplored territories. When it comes to driving at high speeds, you need high performance tires. High performance tires are designed and constructed to allow the vehicle to reach its full handling and speed potential with ease. They are made to handle the pressure of high-speed driving, while not losing their controllability and ensure exceptional high-speed driving safely. Passenger tires is the most versatile tire category there is. Passenger tires are popular thanks to their wide range of sizes, performance levels, and weather conditions uses. They come in summer, winter, and all season weather choices. Mud terrain tires are for the true off-road enthusiast. Mud Terrain tires tread through tough off-road terrain, conquering all soft and loose surface conditions. Their tough appearance is not just for show as they are designed to perform excellently on rough off-road conditions. 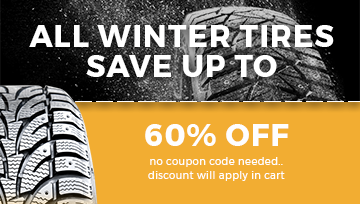 While all season tires offer reasonable traction throughout the year, only winter tires are capable of handing the tough winter weather conditions. They are designed to ensure the highest traction on ice- and snow-covered surfaces. All season tires are made to handle all weather conditions. They provide an easy solution to drivers who do not wish to switch between their summer and winter tires. Trailer tires are meant for special towing vehicles. Their most distinctive feature is their stability, even under high load pressure. Use our friendly search wizards to find the perfect tire for your vehicle. Use our filters to narrow down your search. We offer FREE FedEx Ground Shipping and Home Delivery to ensure you’ll receive your tires as quickly as possible. Once your tires arrive at your front door, bring them to the local installer of your choice. At Priority Tire, we guarantee you'll find the top name brands at the cheapest prices! 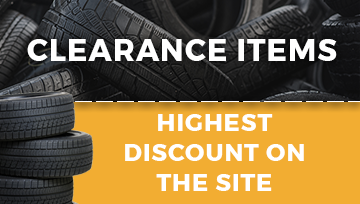 You'll save $100's compared to other tire sites. 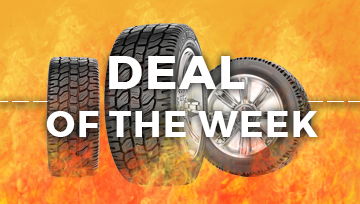 Check out our prices on top brands including Firestone, Goodyear, BFGoodrich, Bridgestone, Toyo, Continental and others. Plus, low prices makes replacing your tires something you can do today, while saving up to 55% off retail prices. Now that's a discount you can afford.